Articles in Nature (“Activists ground primate flights” and “Lab animal flights squeezed“) and other publications have reported on campaigns by animal rights activists to convince airlines to cease transporting animals for research. Although these groups heralded their victories to supporters, an analysis of the facts indicates that the current animal transportation policies of passenger airlines stem from numerous challenges, with the pressure exerted by animal rights activists only one of several factors. In fact, with respect to nonhuman primates, most passenger airlines stopped transporting these animals years before the current crop of campaigns. Once most airlines had ceased transporting nonhuman primates, it was relatively easy for activists to target the few remaining carriers. With the polarized climate created by these activities, it has become increasingly difficult for freight or passenger airlines to continue transporting animals needed for research. There was little financial incentive to continue the practice but a real risk of damage to their brands. Companies have to have an eye on their bottom line, and few stopped to consider the fact that their transportation services were contributing to research meant to ease the suffering caused by diseases that afflict both humans and animals. Thus, many opted for the expedient course of action. Some animal rights groups have argued that breeding colonies in the United States should be adequate to meet research requirements so there is no further need to import animals. However, the validity of some studies requires use of animals with no shared ancestry. Assuring that nonhuman primates with appropriate genetic variability are available requires continuing to import some of these animals from abroad. When an airline transports nonhuman primates, ground workers handling the animal must wear special protective equipment, and the cargo hold must be disinfected before the plane can be used again. This removes the plane from service for hours after nonhuman primates are carried. Since lost revenue for a grounded passenger aircraft can amount to many thousands of dollars per hour, this is a costly prospect. Given that current business models for passenger airlines call for rapid turn-around with ground times of only 40 minutes, it is no wonder why airlines would want to avoid carrying any cargo that requires a lengthy disinfection process. In the U.S., the Federal Aviation Administration issues extensive regulations for aircraft ground crews. This is further disincentive for airlines to carry cargo that brings yet more regulations for ground crews to follow. The problem is compounded due to cost-containment measures such as outsourcing of airline ground services to third-party contractors. It has been estimated that over 50% of aircraft ground services are outsourced, particularly where an airline has a limited number of flights to a particular airport. In these cases, the airline itself may not have direct control over the actions of ground crews servicing its aircraft, but the company is still subject to penalties if those crew members violate regulations. With respect to animal transportation, airlines can also face citations from the United States Department of Agriculture (USDA) under the Animal Welfare Act, which also covers the transportation of pets. In 2012-2013, the USDA website lists 16 enforcement actions against various passenger airlines. 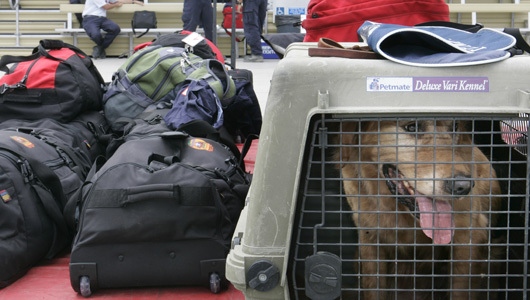 The violations largely stem from errors by ground crew, who may lack experience in handling animals. 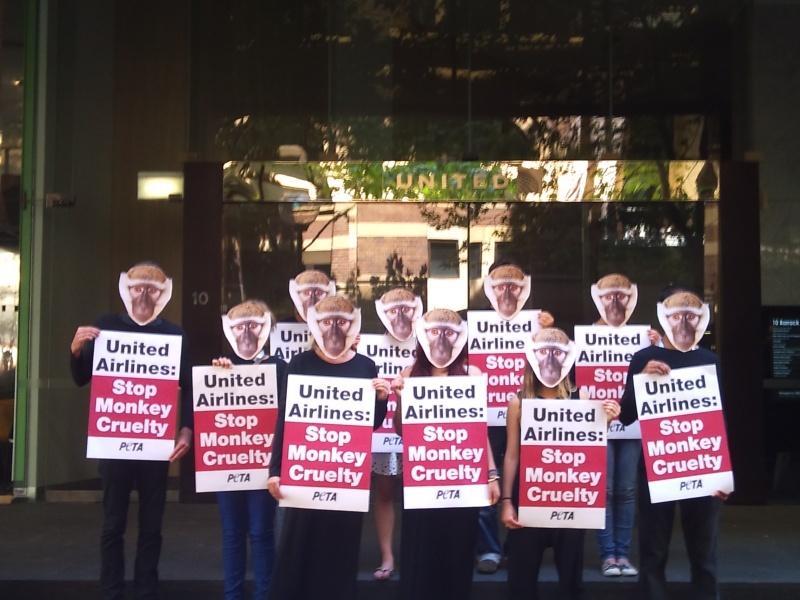 Airlines that continue to transport research animals in the face of these difficulties should be applauded for doing so, but considering that the primary responsibility of the CEO of a publicly-traded company is to maximize profits for shareholders, it may be difficult to convince other airlines to resume transporting research animals, particularly nonhuman primates. Although passenger airlines have not provided the major mechanism for transporting research animals for many years, due to the problems outlined above, given the pressure also being placed on freight carriers, new mechanisms for animal transportation may be needed. Animal rights activists are even pressuring cargo carriers to cease transporting insects and other lower animals such as amphibians. The 2006 National Academies of Science study “Guidelines for the Humane Transportation of Research Animals” foresaw these problems and recommended that the federal agencies that fund nonhuman-primate research work with the commercial shipping community to create what it called “a self-contained overshipper.” This recommendation was never pursued, and to-date the U.S. government has made no effort on its own to solve the growing problem of research animal transportation. Armed with the NAS recommendation, it is time for the research community to ask the government to provide the funding and oversight needed to ensure humane and reliable transportation of research animals. Without such assistance, it will become increasingly difficult to provide animals to the laboratories where vital research is performed and to maintain the needed genetic diversity in established breeding colonies. Posted on January 14, 2014 January 14, 2014 by EditorPosted in Animal Rights News, NewsTagged flying primates, National Academies of Science, transport primates for research, transporting animals. compassion for the millions of people waiting for cures? come on, all the research and pharmaceutical industry is interested in is profit. how else can you explain the refusal to allow the production of generic medicaments? how can you explain that new medicine comes for diseases that are already curable/treatable, but affect foremost people in rich countries, when the research for other diseases that affect mostly people in poorer countries does not get so much interest from scientists? research has the purpose to increase the money made by pharmaceutical industry, not helping mankind. facing that, the use of animals can not be justified. – Pharmaceuticals are driven by profit, however universities and other major research institutions are not. They exist to innovate. The researchers themselves want to do new research they can publish. – Pharmaceutical companies are driven by profit. They spend billions and billions on drug development. The only way for them to survive as a company is to sell them at a price where they can recoup their R&D costs (as well as R&D costs for drug developments that failed). If there were no drug patents, no one would develop new drugs – they’d just wait for someone else to do it and then steal their idea (while saving billions in R&D). Read up on the basic economic principles of patents to understand more. – First you must realise a drug tends to cost more in the US than India. So rich citizens are already subsiding poorer citizens. Because pharmaceuticals (profit seeking companies) need to sell their drugs, they tend to aim for the biggest market – rich westerners – nonetheless, when the drug is developed it tends to be sold in poorer countries at lower cost – everyone wins! Pharmaceuticals tends not to invest in curing things we can already cure – it’s a waste of money – but they will come up with better, safer, treatments for common illnesses (particularly flu and high blood pressure which affect so many people). – Computers make money for computer manufacturers, but improve the world. Clothes make money for clothes manufacturers but make money. Food makes money for food manufacturers but improves mankind. Medical research makes money for pharmaceuticals and improves mankind – the two things are not mutually exclusive. Most airlines will not carry lab destined primates, they will however if it is 4 conservation. Using an overshipper as the committee suggested prevents disease transmission whilst minimizing handler exposure, however, it does not prevent animal extremists from doing all they can in order to stop animal use. Even when this use leads to medical progress and saving lives. Where is the compassion to the millions of us that are waiting for cures?